we want to go for ivf treatment in india. but don,t know abt any of the good clinics.can anyone tell me about their experiences and name of doctors which u have tried.i am very confused.please help. we want to go for ivf treatment in india. but don,t know abt any of the good clinics.can anyone tell me about their experiences and name of doctors which u have tried.i am very confused.please help. ejanice replied. Hello Naha! Hope you are fine now. I'm happy about your surrogacy treatment. Surrogacy is a great blessing for many couples. It's a natural treatment. Many clinics gave good treatment for surrogacy and IVF procedure. I'm really excited about my surrogacy treatment. They gave a good idea. Who is the best option for my health? The hired the well-educated staff. The staff dealing with good patients. They give proper treatment and guide the surrogacy treatment. Hope you Best of luck for your future	xero replied. YES! I have this question in my mind because of my sister.S he also in this situation. She is infertile due to endometriosis. It proved very bad for her. She is so depressed. Now we all decide to take her out of this situation. Infertility messes her totally. She is hurt due to this curse. She even attempts suicide. It is a really very dreadful condition. She becomes so weak due to mentally torture. She kills her self from inside.she is totally broken and tired. Now we find another way which is also IVF. She takes the drugs under the doctor's prescription. when her condition got stable we will move toward this step. So please explain deeply about IVF. it will helpful for us. Do remember my sister in your prayers. WITH LOVE! Anita replied. Hi Neha! How are you? hope you are in good health. First of all I would like to say that I am sorry about your infertility and I know how hard it can be since I am also one of its victims. I would just like to motivate you. you are doing the right thing going for IVF. I think it will help you a lot. I wish you all the best. Hope everything works out. Priyanka replied. Hi. I suggest you motherhood hospital. it is best IVF center in Ahmedabad Gujarat. they have hundreds of success full story. you should taking chance of IUI treatment and then only you go further for IVF treatment, it will be helpful for you, may be this both solve your problem, and give positive result to you. Bharti replied. hello, Elixir Fertility is the one of the best ivf clinic in Delhi. my frds wife took treatement from delhi for ivf treatement, and the result of treatement is successful. there is so many ivf centre in mumbai as well as in delhi too, my frds wife took treatement from delhi for ivf treatement, and the result of treatement is successful. Jeel replied. Hi Neha, today i can say becuse of some of the leading doctors in India there are a lot of hospitals today which are offering at a large scale. So you can check out he best doctors and get the treatment done. YES! I have this question in my mind because of my sister.S he also in this situation. She is infertile due to endometriosis. It proved very bad for her. She is so depressed. Now we all decide to take her out of this situation. Infertility messes her totally. She is hurt due to this curse. She even attempts suicide. It is a really very dreadful condition. She becomes so weak due to mentally torture. She kills her self from inside.she is totally broken and tired. Now we find another way which is also IVF. She takes the drugs under the doctor's prescription. when her condition got stable we will move toward this step. So please explain deeply about IVF. it will helpful for us. Do remember my sister in your prayers. WITH LOVE! Hey, hope you are doing well. I am so sorry to hear about your sister. This is so heart breaking seriously. I am so sad to hear that. all my wishes and prayers are with her. She seems so much like me. I have been facing infertility so for long also. I was TTC since past 12 years. But nothing worked for me. I suffered a depression due to this. i also wanted to end my life. But my husband was there for me. He supported me. I couldn't do suicide because of them. I had him all the time with me. He supported through each and every situation. I am so so lucky to have him. I don't know what God has thought for us. But i know thing, God has really blessed me with a husband like him. Same with your sister. She has a sister like you. And she is really blessed. Support her through every situation. All she need is your support and love. Anyone can survive any situation if he/she has someone by her side who support them. I hope things work for sister and me soon. I will pray for us both. say my love to her. Hi Neha! How are you? hope you are in good health. First of all I would like to say that I am sorry about your infertility and I know how hard it can be since I am also one of its victims. I would just like to motivate you. you are doing the right thing going for IVF. I think it will help you a lot. I wish you all the best. Hope everything works out. you search on google you definately get good result from google, but now a days most of the people prefer to adopt baby instead of ivf treatment, but its a person to person choice. in Delhi as well as in Mumbai so much clinics and good and experienced doctors are available, you can search on google and take review and consultation from doctors. result of treatment may be give you positiveness. you should taking chance of IUI treatment and then only you go further for IVF treatment, it will be helpful for you, may be this both solve your problem, and give positive result to you. i m suffer from same problem, and i m looking for good clinic around in india for IVF treatment, could you please share this information when you find one? i will suggest to other friend of mine. if you are ready to put maximum amount for infertility then you can try in research centers, there they will give you proper treatment and result also, and these doctors are well experienced. lots of people choose adoption option instead of IVF treatment, it would be better to try to adopt some baby and give life to that kids, its so beautiful experience. in india also lots of hospitals do IVF treatment, and doctors having lots of experience, so don't worry you will get proper result, but if you are financialy stable go for big hospital for treatment. are you trying or taking chance of IUI treatment and then only you can go with IVF treatment its really usefull, so may be it will solve your problem, and first your find doctor for consulation. Hey, hope you are doing well. As per my suggestion, surrogacy is much much better than IVF and IUI. 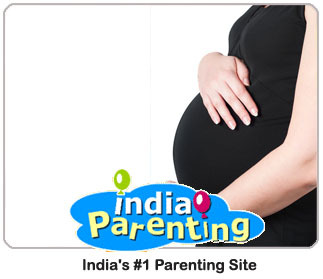 Surrogacy is the most efficient among all. And it has higher success rate as well. IVF and IUI are painful and complicated procedure. Plus they have less chances to get successful in first attempt. And i think trying again and again is so hard and painful. As compared to it, surrogacy get successful in first attempt in most of the cases. I have seen very rare cases who got failed in first attempt. And the reason were so unreasonable. Like the surrogate didn't take good care of herself. Or she didn't want to carry baby anymore due to some personal reasons and so on. And these all problem occur juts because the procedure is proceeded without any legal formalities or contract. So choosing the right clinic for procedure is so essential. It depends so much on clini to make procedure successful. I hope you got my points. These were the things i learnt during my surrogacy preparation . I am undergoing my surrogacy these days. So i hope things go well with me. Don't get me wrong. I shared what i found necessary. Infertility treatment is so costely, and time consuming treatment, but it will give you hundred percent result with very well experienced doctors observations, and it will be effective. Hello there. I was dealing with infertility too. It was such a pain. I was so depressed. Then i got to know about surrogacy. I was scared at first. But my family encouraged me. So i went for it. It was successful. I have a beautiful child now. My family is complete. I am the happiest i have ever been. did you take chance for IUI treatement and after that you can go with IVF treatement it realy used you, so it wll solve your problem too. first find doctor for consulting. this post you had posted long back ago, so tell us what is your current status, and what about your treatement, share your experience here, it will help you for othere users and readers too. in infertility tratement so much money you should have, because this treatement is so much costely, also its give you proper result with well experienced doctors. Pls could someone suggest genuine fertility specialist in THANE who does not charge bombshell and really can help in seeking solution for pregnancy Pls. RE:Anyone with Successful IVF in Gurgaon?